Trust us to deliver top-notch service on your Cadillac. Cadillac, the second oldest American automobile brand, has been setting standards for automotive excellence since it became the first American car to win the Dewar Trophy from the Royal Automobile Club in England in 1908. A vehicle brand that markets itself as the "Standard of the World" needs an equally high standard of service. When it comes to your Cadillac repair and maintenance needs, refuse to settle for anything less than the best. 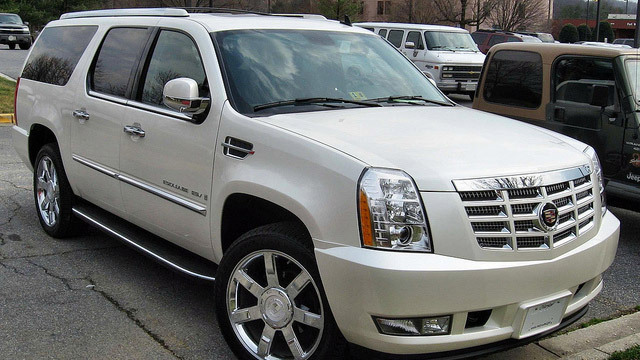 If you are seeking the highest quality service and repair of Cadillacs in the area, look no further than our shop. Our team strives to give only the best service to you and your vehicle from the moment you enter our door until you drive away, completely satisfied with the results. Whether you need routine Cadillac maintenance, or major Caddy repairs, our certified mechanics will provide quality service that stands the test of time, just like the Cadillac name has. Give your Cadillac the service it deserves. Call our shop or stop in to schedule an appointment today!